The base of this table is made of cherry and is removable from the top. 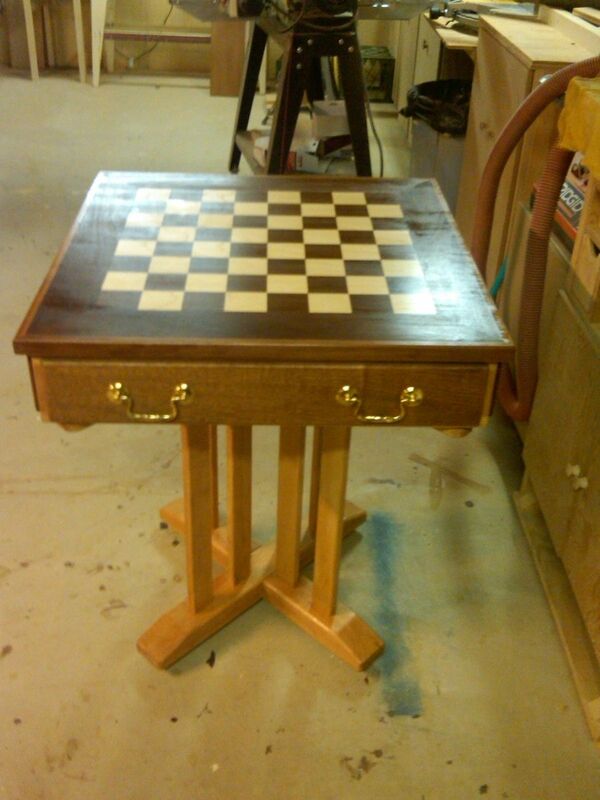 The top is a mahogany border and I used some exotic woods for the actual chess field. Top was then covered with bar top epoxy for a really tough, life-long finish.